Get ready to play challenging online 8 ball pool matches! Precise the cue steering, use buttons to set the angle and hit the ball precisely ! Pool Clash : 8 Ball Billiards from T-Bull has the power to entertain you for hours on end ! 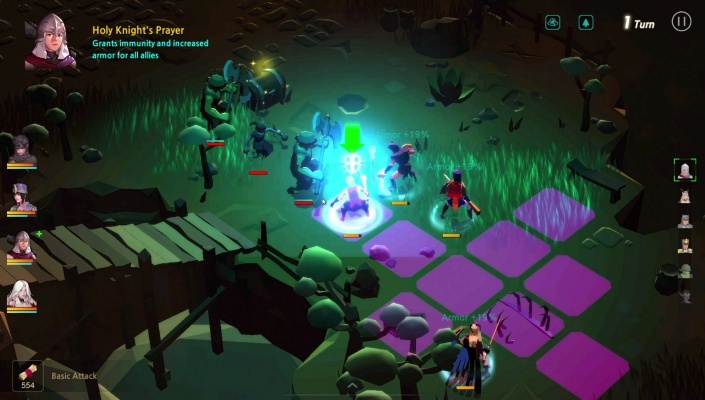 - Take part in 8 multiplayer leagues worldwide ! - Discover over 320 unique challenges ! - Play Hot-Seat Mode and compete against your friends on the same device ! 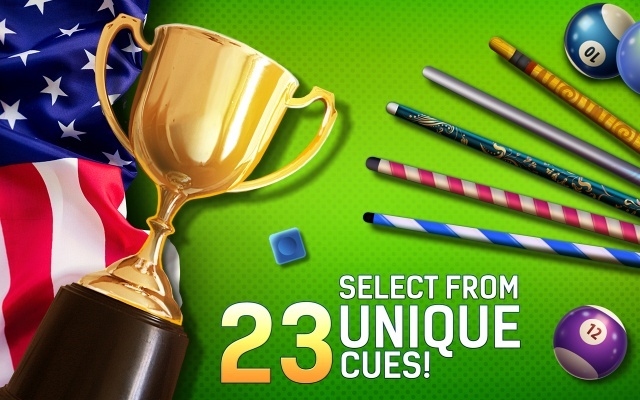 - Select from 23 unique cues and use them wisely ! - Perform amazing tricks with accurate steering options ! - Prove your skills in the Challenge Mode and discover new billiards rules ! - Climb to the top of the online leaderboards and become the best pool player in the world ! - Enjoy advanced physics engine ! COMPETE IN MULTIPLAYER GLOBAL TOURNAMENTS ! - Play with skilled 8 ball pool players from different part of the world. Win and gain access to exclusive high-stakes tables. 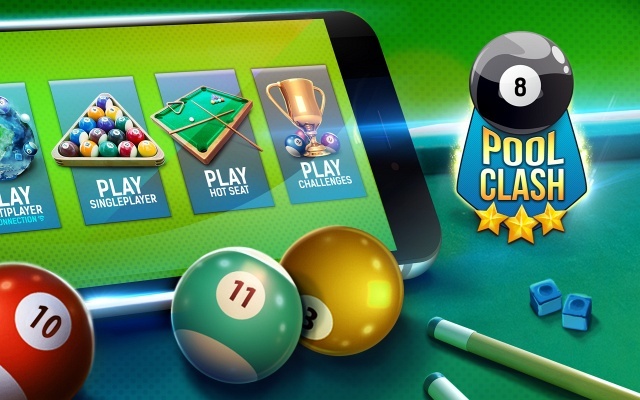 Build up your cash and become the richest billiards player in Pool Clash! Fight your way to the top, earn awesome prizes and become the pool overlord! Play now! What are you waiting for ? PLAY AROUND THE WORLD AND HAVE ENDLESS FUN ! 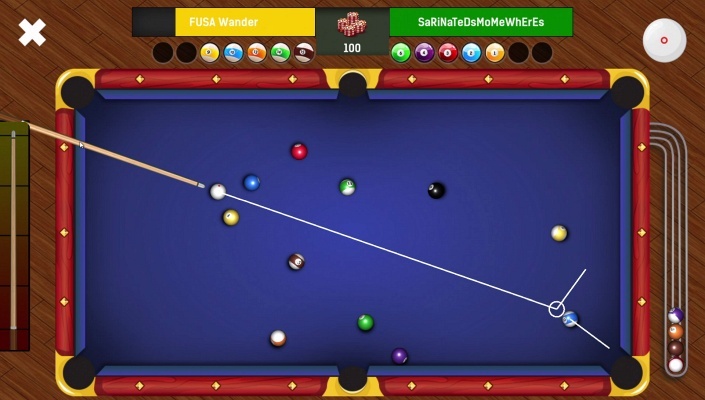 - Use your skills in the world pool arena, play PVP matches, or enter global tournaments to win trophies and exclusive cues in competitions with the real legend of billiard! Take part in championships organized in 8 different cities around the world: London, Sydney, Moscow, Tokyo, Las Vegas, Jakarta, Toronto, and Dubai ! BECOME A PRO POOL CLASH PLAYER ! 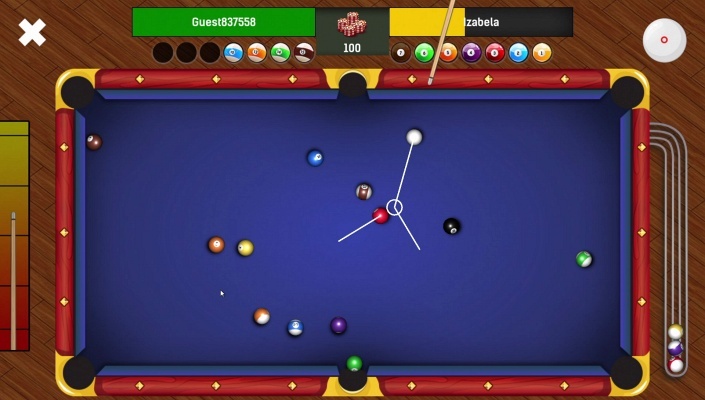 - Become a master in 8 Ball Pool and learn new billiard trick shots! 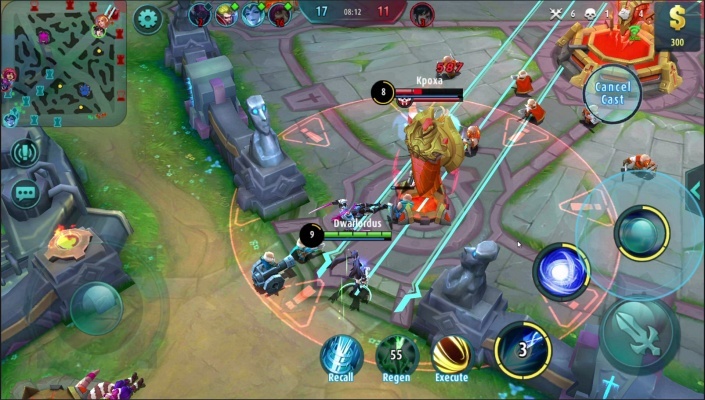 Improve your skills in Single Player Mode. Be the best, making extremely satisfying trick shots. Climb your way up to the top of the online leaderboard by using Challenge Mode. Over 320 challenging levels provide the totally new pool experience . - LEARN BILLIARDS RULES AND HOW TO PLAY ! - Have you ever wanted to challenge pro pool players in real time PVP challenges? 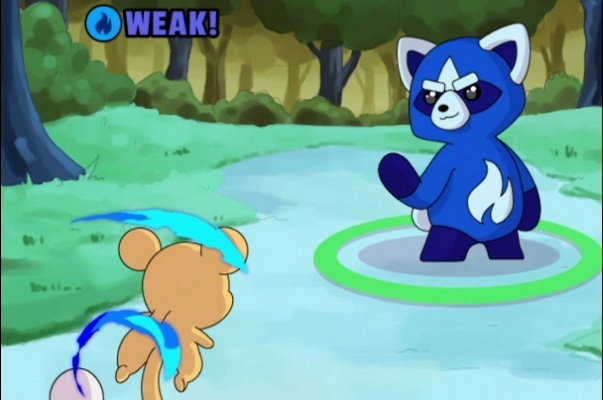 Practice your skills in Pool Clash and prepare yourself for real tournaments! So, try to use Hot Seat Mode! It helps you to play with other players anywhere and anytime. Show them who is the best when you are sitting in one room . - CHOOSE THE RIGHT CUE AND JOIN THE TABLE ! 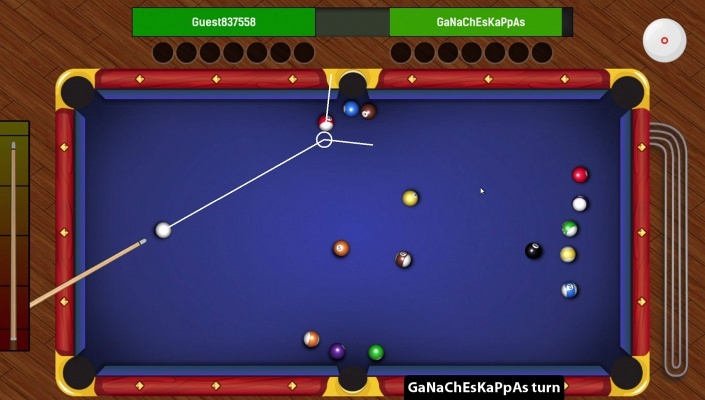 - Remember, each cue gives you extra skills! Some cues with hard tips help you to strike better a ball but have less capacity for a ball spin. Decide on your own what you want to achieve. It's good sometimes to play pool alone and learn it better (especially for snooker players). 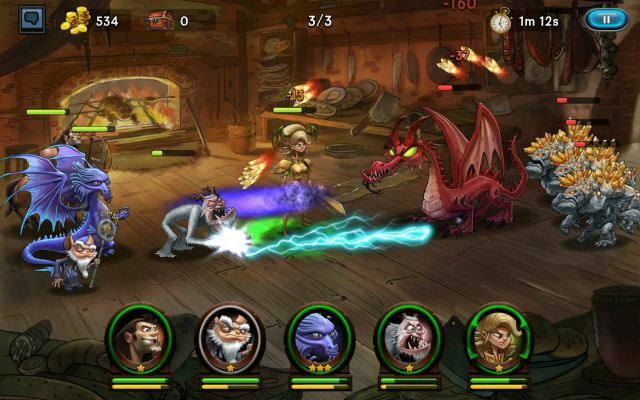 The game has intuitive touch controls where you can simply tap and curve the ball very easily .